HTML5 video is a new kind of video element that is designed to make it easier for internet users to view videos on websites. Normally, videos contain an object element which coincides with a particular type of video plugin or format. The most popular video types are Flash, Quicktime and Windows. 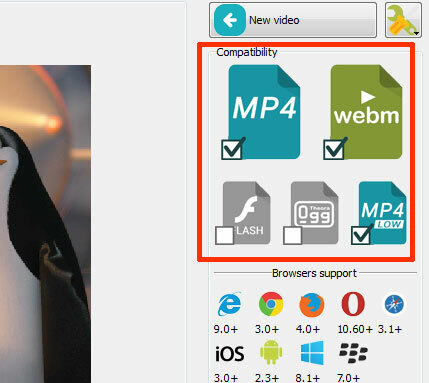 In order for someone to play these video types, they would need to have special plugins on their computer to support the various formats. Without the plugins, the video will not play for the visitor. This has been an ongoing problem amongst internet users for over a decade now. It is even bad for webmasters because they don’t know which video format to use for the videos on their websites. But now, a solution has been developed. The HTML5 video element was designed to replace a portion of the original object element. By doing this, internet users can watch videos on websites without needing any plugins. All the webmaster has to do is generate special HTML5 coding that corresponds to the links where their video can be downloaded. The formats include OGG, WebM and MP4. Once the coding is generated, it gets placed into the body tags of the webpage’s HTML coding. The HTML5 video will be viewable in all modern day browsers, such as Internet Explorer, Google Chrome, Safari and Firefox. If you are downloading these browsers for the first time then just make sure you have all the latest updates downloaded for them as well. They usually prompt you automatically about the updates. This will guarantee that your browser is compatible to read HTML5 coding on all websites. If you come across an HTML5 page with the following error message “file not found,” then it means your browser doesn’t have the proper video codec installed. For example, if you are using Google Chrome and you come across an HTML5 MP4 video, then you may get an error message because you don’t have an MP4 codec. Webmasters should create HTML5 coding that has three video types linked into it. This will allow users to have another video type play if the original one doesn’t work. However, not all webmasters code their web pages with three video types. So if you are an internet user that comes across this problem then you might want to make sure you have the MP4, OGG and WebM codec installed on your browser. To get started in generating HTML5 video for your webpage, check out http://easyhtml5video.com and download one of the best HTML5 video generators out on the internet.